In most cases, it’s not super easy to achieve debt freedom. But that doesn’t mean your life has to be miserable while you’re getting out of debt. In fact, you don’t have to sacrifice all the fun in your life just because you’re paying down debt. In this post I’ll show you how to make a solid plan to achieve debt freedom without being miserable in the process. Getting out of debt isn’t completely about deprivation and self-sacrifice, although they do play a role. Some people would rather put their nose to the grindstone, sacrificing everything they can to achieve debt freedom. You’ll usually pay off your debt quicker that way, but it can be quite a grind. However, some people just don’t roll that way. Others are more likely to succeed if they can still have some fun and get out of debt too. It’s not right or wrong, it’s just a different way to achieve the same end. You CAN strike a good balance between the self-discipline of getting out of debt, and enjoying everyday life. So, here are some of the best things you can do to get out of debt, and still have a little fun along the way. First and foremost, you must have a plan if you want to get out of debt for good. You can’t fly by the seat of your pants and expect to succeed. I won’t go deep into the details in this post, but you can go here to find out how to put together a solid plan that works. Once you have a plan put together, you need to get organized. A great way to do that is by using Personal Capital to consolidate and manage your entire financial life in one place. You can budget, set savings goals, track investments, and get customized advice all in one place. Best of all, its’ FREE! I’m a Personal Capital user and I highly recommend it! Click here to manage all your financial accounts in one place. Any good plan to achieve debt freedom includes a budget. 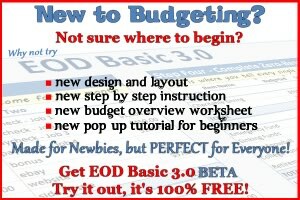 Keep in mind, a budget is not about deprivation and lack. It’s simply a way to make a plan for your money before you spend it. You can plan for anything you want, including going out to eat, movies, concerts, or whatever else you like to do for fun. As long as it’s not keeping you from achieving your ultimate goal, there’s nothing wrong with budgeting for something fun. Like to shop for clothes? Shop at a thrift store instead of retail. You can still find nice designer threads, sometimes with the tags still on. Love to eat with friends? Instead of going to an expensive restaurant, have everyone meet at your house (or a friend’s). Everyone can bring food and still have a lot of fun watching a movie or having game night. Like to travel? Find attractions you can you can visit on a day trip. No hotels and airfare means more money to pay off debt! You can always find cheaper ways to have just as much fun. Just be creative and you’ll come up with plenty of ideas! Another way to make getting out of debt more enjoyable is to make your money work harder. There are plenty of things you can do to use your money more efficiently, ultimately saving you money to use for other things. Here are some good suggestions below. As part of a solid debt freedom plan, you’ll need a savings account (or two) to hold your emergency fund, plus other money you’re saving for things like a vacation, your next car, etc. Most savings accounts pay you just above nothing to hold your money. However, I found a great savings account from CIT bank that pays 22x the national average for your savings! There are no fees to open or maintain your savings account. CIT Bank is FDIC insured. The minimum deposit is only $100. Student loans are one of the largest debts most people have. Did you know you can refinance them at a lower rate? By refinancing your student loans, you will potentially save tens of thousands of dollars over the life of the loan! You’ll accelerate paying off your debt, especially if you use some of your side gig money to add to your payment. My two favorite companies for refinancing student loans are Credible and SoFi. Both are highly rated and have helped thousands pay off their student loans faster, saving a ton of money in the process. One of the best things you can do to accelerate the debt freedom process is to find ways to make extra money. The more money you add to your debt payments, the quicker you achieve debt freedom! There are tons of things you can do to earn a few hundred dollars a month (or more!) to pay off debt. The good thing about side gigs is you can work them when it fits into your schedule. Even if you’re busy you can carve out a few hours a week to make some extra money if you really try. For instance, I’m a practicing dentist, and I’m writing this blog post in between patients during my regular work day. If you’re willing to be creative, you can likely find time to fit a side gig into your schedule. Here’s a post on how to find more time for a side gig. Here’s my complete list of money making ideas articles. If you want to achieve debt freedom and have fun doing it, then you should prioritize the things that make you happy. Write down a list of things you like to do on a regular basis that make your life enjoyable. This could include anything from getting a nice coffee every day to taking walks in the park. Find alternate ways to have the same thing at a lower expense. Replace some of the more costly items on your list with low or no cost items you enjoy just as much. The more you can still do things you enjoy without sucking the fun out of life, the more likely you’ll stick with your get out of debt plan. Got any tips for keeping life fun while you achieve debt freedom? Leave them in the comments!